Margaret R. Alexander, 87, formerly of New Providence, PA, passed away on Monday, January 29, 2018, at Conestoga View. She was the wife of the late Donald K. Alexander, who died in 2013 just shy of their 59th wedding anniversary. Born in Griffin, GA, Margaret was the daughter of the late George E. and Blanche (Hicks) Rice and sister to the late Rebecca (Becky) Rice Cwycyshyn. She attended Northwestern High School and Wayne State University, both in Detroit, MI. She was a secretary with General Motors Overseas Operations, Detroit, MI; part-time in a Methodist Church office in Albion, MI, Hershey, PA, and Lancaster, PA, and part-time at Penn State University’s Harrisburg Campus in Middletown, PA until her retirement in 1984. She was a member of First United Methodist Church where she sang in the Chancel Choir for many years. Her quick wit was appreciated and is remembered by those who participated in the choir with her. She is survived by her children: Michael P. Alexander (husband of Laura) of NJ; Anne E. Demetree of FL; Beth E. Wilson (wife of Rusty) of Elizabethtown; Joan A. Moscatelli (wife of Ron Shoemaker) of New Providence; and Jill D. Longenecker (wife of Alan) of Elizabethtown; seven grandchildren; two great-grandchildren, along with nieces and nephews. Margaret was lovingly known as Grammy by many family members and friends. Those who knew her found her to be gracious, kind-hearted, and genuine. She had a great sense of humor and enjoyed socializing. Her Sunday “lunch bunch” gathering with friends from church was a highlight of her week. 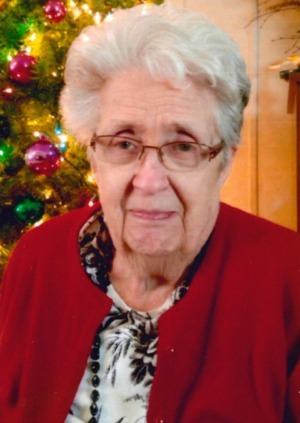 Her interests included singing, watching movies, knitting, and cross-stitching. The family wishes to express their sincere thanks and appreciation to the Conestoga View staff for the compassionate care and personal touches Margaret received during her stay. Relatives and friends are respectfully invited to attend a Memorial Service at First United Methodist Church, 29 E Walnut St, Lancaster, PA 17602 on Wednesday, February 28, 2018, at 11:00 A.M, luncheon to follow. The family will visit with friends immediately after the memorial service. To leave an online condolence please visit www.DeBordSnyder.com. My condolences to the Alexander family on the passing of their beloved mother. It is hard to part with them but they are now in a better place with other loved ones. We send our deep sympathy for your loss. She was such a special friend. We enjoyed her humor, her caring, her friendship. Margaret was such a special person. Our lives were enriched by knowing her, and Don, for the past number of years. I will truly miss Margaret. She was a lovely lady and knew her for a short time. My Mom Janet Wiley also knew Margaret as well and thought she was a wonderful lady. Condolences to the Alexander family. Our thoughts and prayers go out to your whole family. Psalms 147:3 says God, “heals the broken hearted, and binds up their wounds.” May God bring you comfort and peace. I did not have the pleasure of knowing Margaret – however I know her daughter Beth………..and based on what a wonderful job she did as a mother………..she must have been a very special person! She has indeed left the world a wonderful legacy – with all the upstanding kind and genuine children and grandchildren she has left us with!! Thank you Margaret and may your reward in heaven be as bountiful as what you gave us here on earth!! !